Just catching up on the storm news. 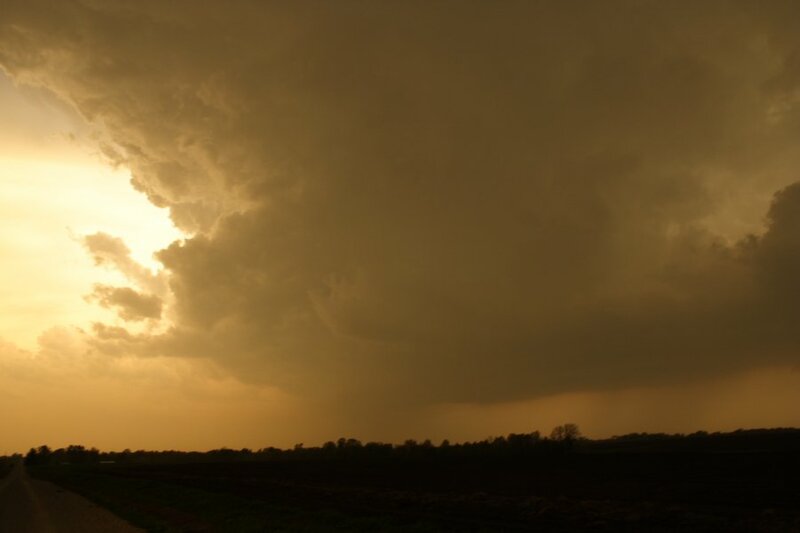 This particular event in northwestern Missouri was quite a relaxed chase early. We targetted the region in the vicinity of the cold front/warm front and dryline intersection. 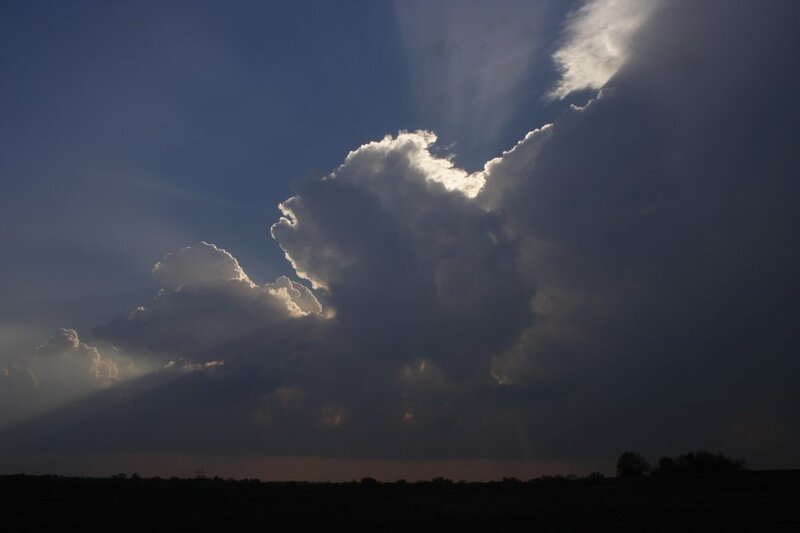 The towers struggled all afternoon but finally an echo developed in NW Missouri. We made our way to cross the Missouri River so that it does not limit our chase opportunities. Soon another storm developed to is south and although the storm to the north (located east of St Joesphs) was severe, we liked the position and structure of the next storm south. 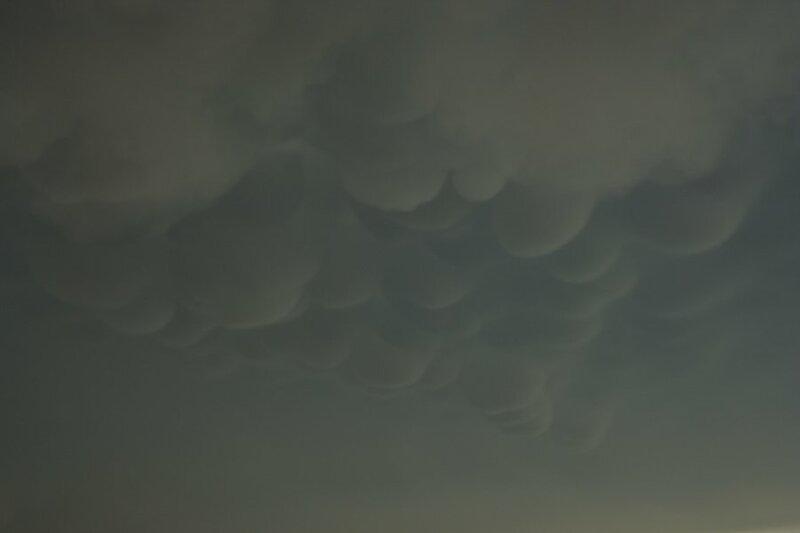 It literally exploded with incredible mammatus under the forward anvil. This anvil was extremely active - with lightning zits and some cloud to ground lightning. The structures to the west reflected the warnings for large to giant hail (it was the first time that wallnut sized hail was noted on a warning). The two main storms though began to produce baseball sized hail with rapid intensification noted. 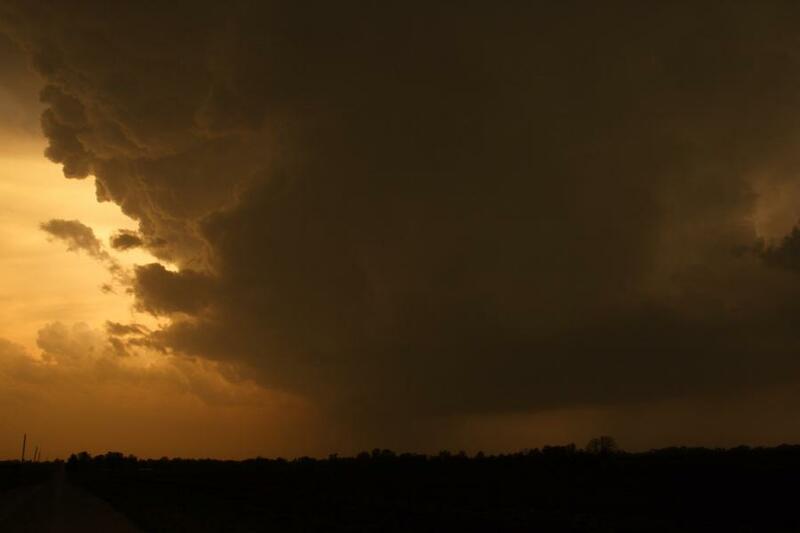 A tornado warning was issued for this storm that approached Chillicothe - the structure complete with vault - incredible. We were "unfortunately" playing it safe remaining further east of other storms though this storm had held further back. Reports of a funnel cloud and then debri crossing the road was noted on the NOAA radio warnings but it seems no photographs are available at this point. ...and if the latest GFS is destined to verify, you might want to chase from the 29th April Nick!